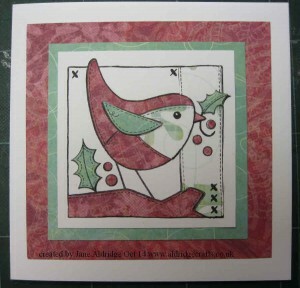 Today’s card features the Woodware Patch Robin Stamp. 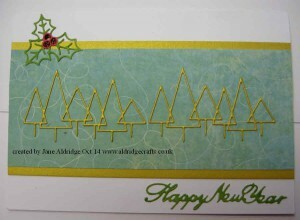 I was inspired by all the fabulous samples of this card I’ve seen to have a go with him myself. 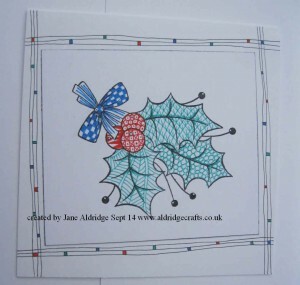 I had a lovely day on Saturday demonstrating Christmas card ideas in the shop and I will be sharing the cards I made over the next few days with you. 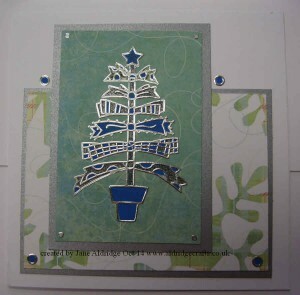 Today’s card has been created using the free stamps from the latest issue of Creative Stamping. 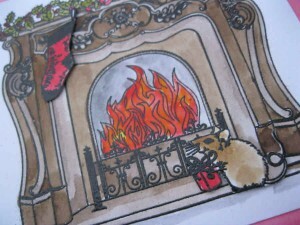 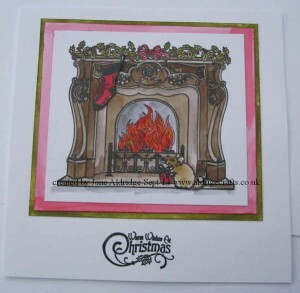 This lovely fireplace with holly on the top creates a cosy image of Christmas. 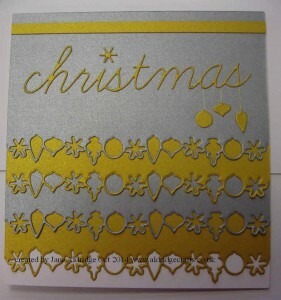 Christmas design today. 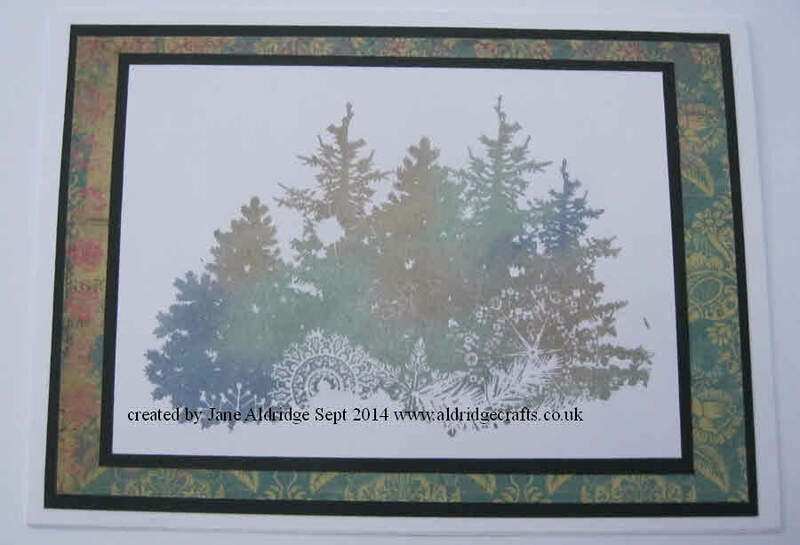 I’ve been playing with the IndigoBlu Connors Crown Jewels stamp along with flitterglu and flakes. 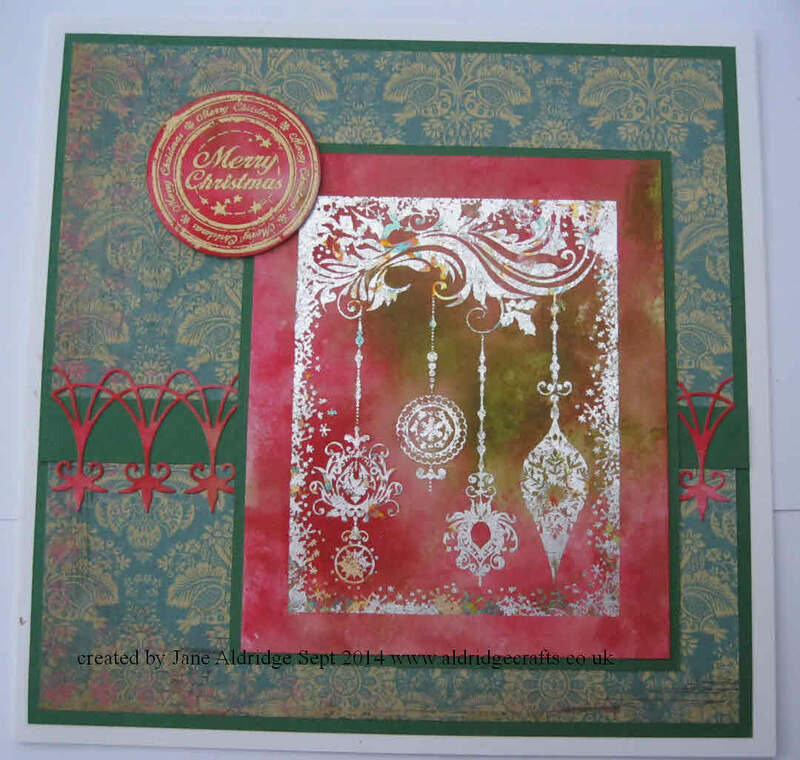 I’ve used Winter Dawn. I stamped the baubles onto white cardstock and the dinkie merry christmas onto black card. 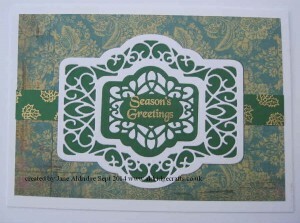 Next I have applied Distress Ink – Seedless Preserves and Dusky Concord using cut n dry foam and mounted it onto a black border. 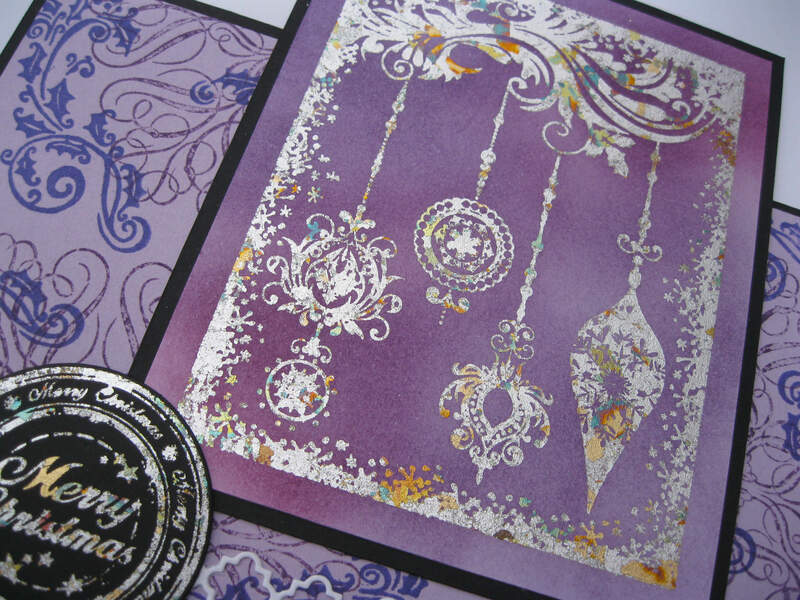 My background card started as plain lilac card and I’ve stamped using purple Archival and Dusky concord distress ink with the IndigoBlu Large Snowflake and small holly stamp. 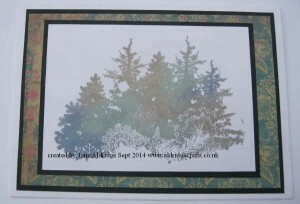 The die cut border is the Tessatina border from Memory box. 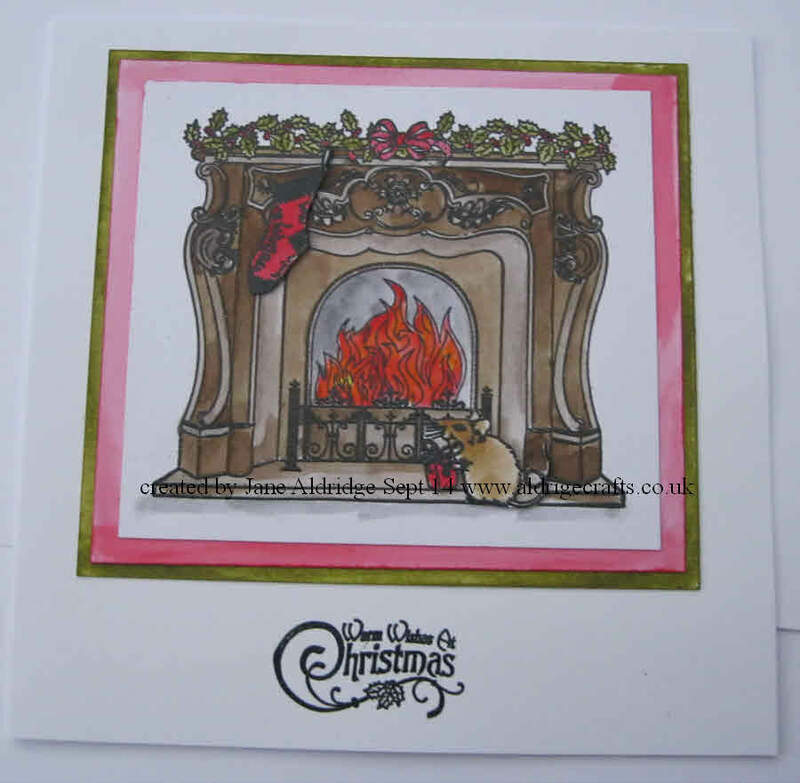 This card is one of the samples for the Flitterglu and Flakes Christmas card workshop I will be holding on 9th October – click here to book your place and I’ll show you another sample idea later this week. 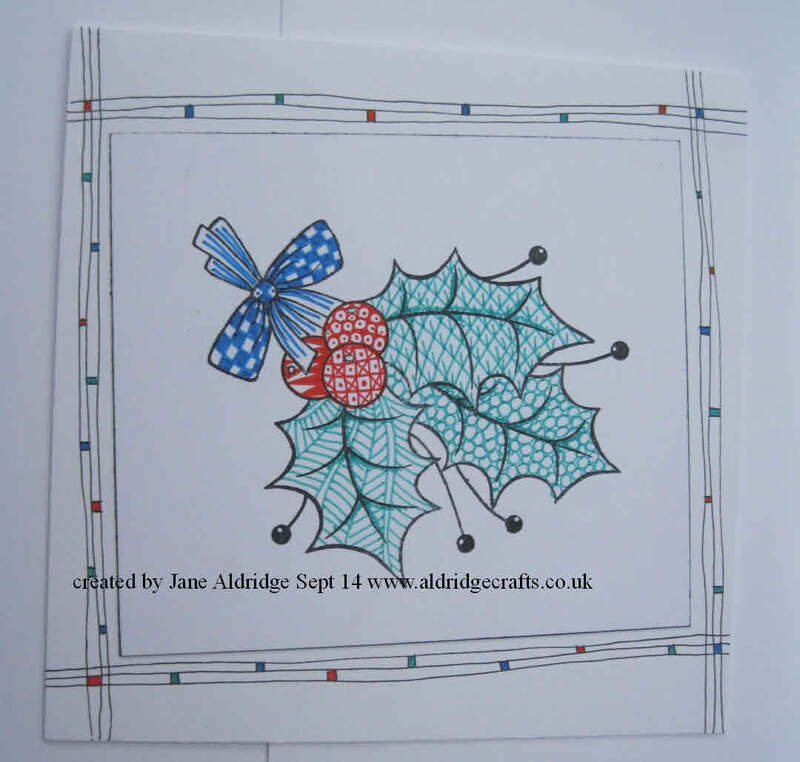 I won’t be blogging daily this week – it will be on Sunday, Tuesday, Thursday and Saturday as I’m having a few days on holiday with my lovely hubby! 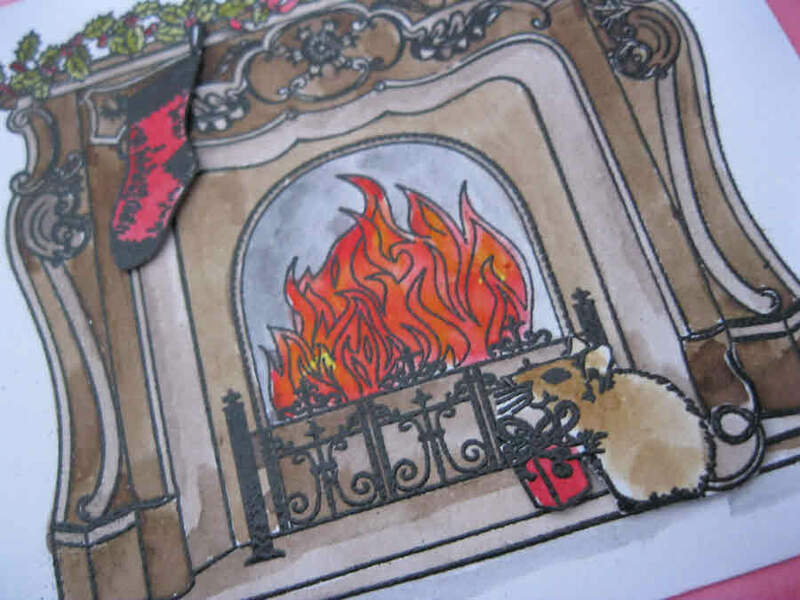 but… it’s off to the trade show tomorrow first – much excitement to see some of my favourite brands and what new goodies they have to offer!